Two Byzantine brothers, Saints Cyril and Methodius, brought Orthodox Christianity to the Slavs in the ninth century. The brilliance of Eastern Orthodox missionary outreach, as opposed to that of the Latin Church, was in the very use of the vernacular. These great saints who became known as the Apostles to the Slavs, left the Slavs with a liturgical language that was understandable to them. The services were not imparted in the Greek language, as though it alone was sacred enough to be used in Divine Worship, but helped them understand their new faith by worshiping in their own language. The first missionary monks to the North American came to a land where Orthodoxy had never been. Their encounter with the native peoples was one of mutual respect. They did not greet their new neighbors as pagans, but as a people who’s experience with God was limited, but who nevertheless held to certain truths that were, by their very nature, Orthodox truths. Sharing with these peoples, the Orthodox monks came to know that the native Alaskans did not worship totem poles, but used them as tools for passing on family and tribal history. The monks honored the indigenous peoples, befriending them, and, most important of all, treating them as God’s children. As Orthodox Christians, we are duty bound to share our faith with others. Christ is for everyone, but with all the bad press Christianity has been getting during the past decade, it is especially important that we approach evangelism in light of the historic Church. The missionary mind of the Orthodox Church must be rekindled in our time. Parishes must not remain enclaves of Greeks, Russians, Bulgarians, Palestinians, or Serbs. The doors of the churches must be opened wide, welcoming all. Having unlocked doors is worthless if a visitor is greeted with a frown upon entering the temple. I’ve lost count at how many people have shared their experience at having been ignored by other worshipers, upon entering an Orthodox parish for the first time. Numerous people have told me about being confronted with the question, “are you Greek”, followed by, “then why are you here”. Others have shared their sadness at having been ignored in the parish hall, because they did not speak Russian. A Roman Catholic friar once told me he’d gone to a Russian cathedral to attend his first Divine Liturgy. The first service had concluded, and as the clergy walked down the steps of the cathedral, they looked right through him, as though he were invisible, even though he was wearing his Franciscan habit. He’d felt so unwelcome, he turned and left. Additionally, a young German wrote of his frustration at wanting to become Orthodox, yet suffering abuse from Russians who demanded that he learn Russian if he was to become Orthodox. Although they were all living in Germany, they rarely used the German language, and his sadness at their rejection of him, unless he “become Russian”, has made him feel like it would be a mistake to even continue on his journey into Orthodoxy. What kind of witness is this? Have we reduced Orthodoxy to the status of a private club? Do we see the Church only in ethnic terms? What if Saints Cyril and Methodius had treated the Slavs in such a manner? What if the Jewish Christians of the first century had treated the gentiles in such a manner? We are all called to be evangelists for the Orthodox Faith. Not one of us is deserving of this Pearl of Great Price, if we wish to preserve it only for ourselves. How can we say we love Christ, if we do not wish that all know Him? Can we be saved, in the end, if we wish salvation only for “our people”? 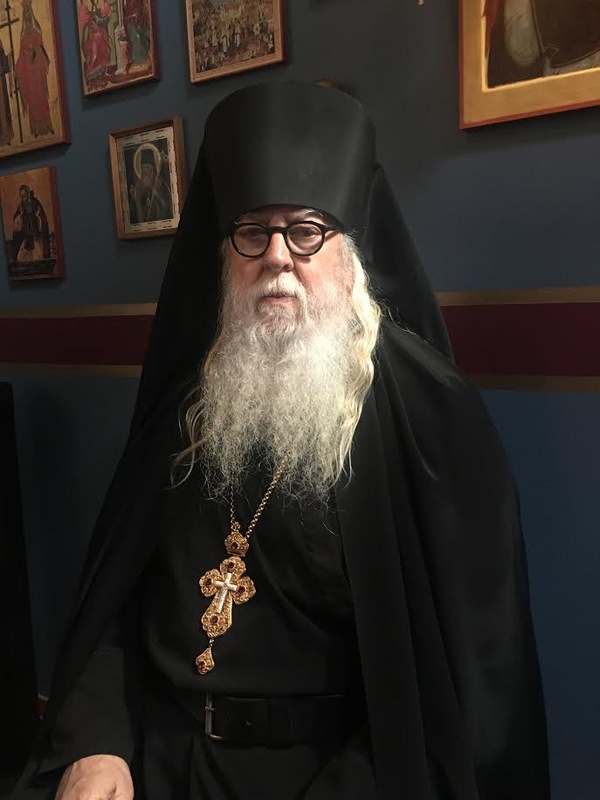 We must invite our friends and neighbors to “taste and see” the great treasure that is Orthodoxy, for it is our responsibility, as Christians, to reach out in kindness, and with a welcoming smile, when we see strangers enter our temples. Orthodox clergy must remember that we are the first line of witness for the Faith. If we hold ourselves aloof while wearing our cassocks and crosses in public, we can not call ourselves disciples of the Lord, for in keeping ourselves aloof, we bring shame upon the Cross of Christ. 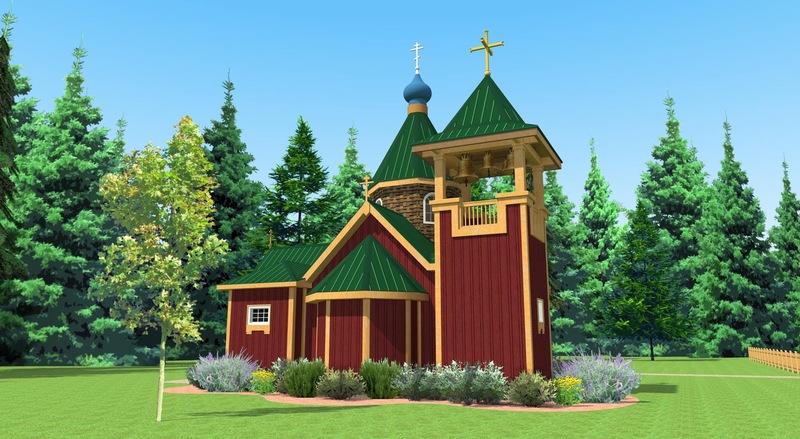 Photos: The architectural changes we hope to make on our church, with the addition of a bell tower, sacristy, and cosmetic additions. 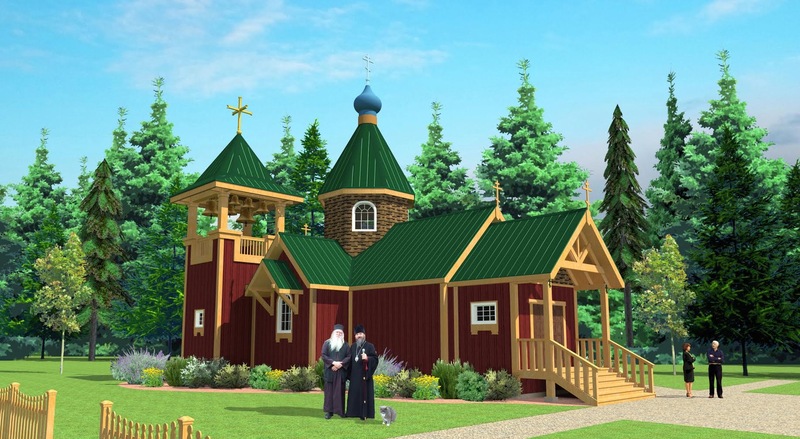 We now have $138,000.00 raised towards the needed $600,000.00 construction costs of both these changes to our monastery’s church, and the building of the Saint Seraphim Guest House. Please consider donating toward this worthy cause. Great-martyr Theodore Stratelates (“the General”) of Heraclea (319). 2 My little children, these things I write to you, so that you may not sin. And if anyone sins, we have an Advocate with the Father, Jesus Christ the righteous. 2 And He Himself is the propitiation for our sins, and not for ours only but also for the whole world. This was interesting for me to know – since I am in a Serbian Church everybody speaking Serbian mostly. I have a liturgy in Swedish translation together with Serbian. But I have got some words / prayers in Serbian that I experienced much stronger than in Swedish og Danish or English. So now I try to understand the language – if It was more holy ? I thought it was holy because of its history. But I did not know the history. I understand that it is a lovely language when people who loves God are praying. But finally I found Paul’s words – because I wondered so much about the power – 1.Cor.2:1-5 – and he was not speaking Serbian – kind of a comfort.